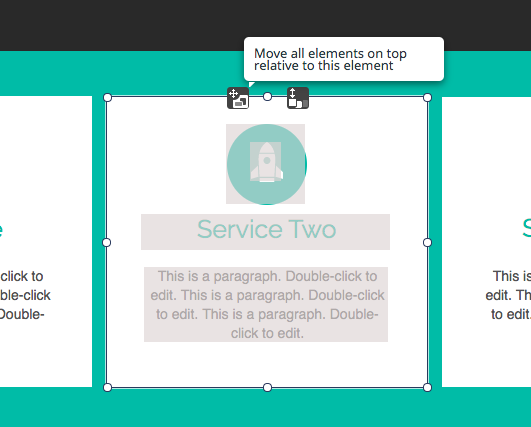 Introducing a new tool that allows you to move multiple layered elements at once. In the Website.com site builder, this new tool is useful when you want to move a cluster of elements at the same time. For example, you may have a box with a text element and image element layered on top. If you’d like to move the box and all of the elements on top of it at the same time, just click on the box, and you will be able to drag the cluster of elements.